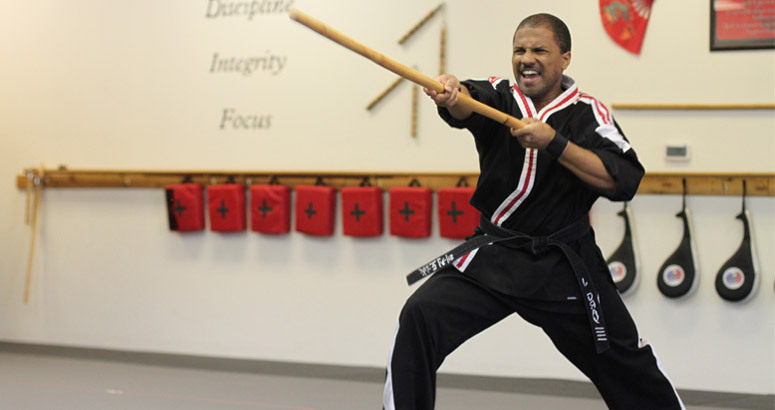 Martial Arts training is a fun, fulfilling workout for adults. Our adult students really appreciate the differences between martial arts training and standard exercise programs. Not only are our workouts are a great way to get in shape and relieve stress, but our classroom practice sessions give you confidence. Confidence in knowing what we teach could save your life. And finally, our program is a lot of fun. The reason our program is so successful is because we make the classes fun and exciting. We learned a long time ago that if people are having fun, they learn much faster and stick to their training longer.